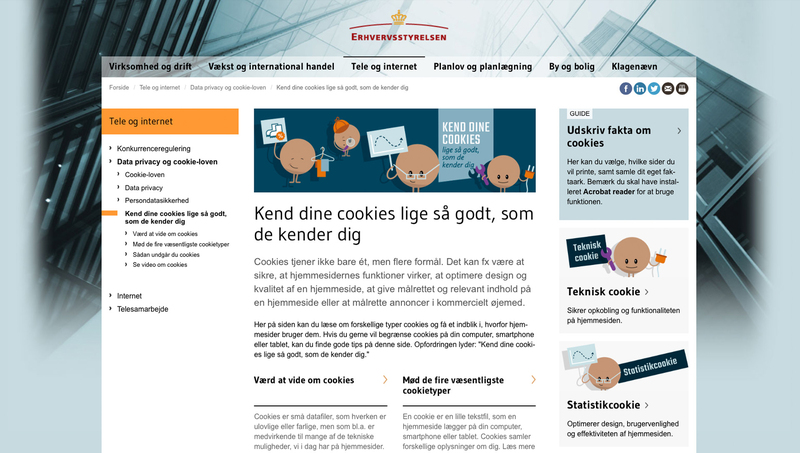 BystedFFW worked together with Erhvervsstyrelsen in communication and design of this information campaign about cookies. The campaign was made to make people more familiar with cookies; such as why they are everywhere on the internet, what they do, what they are used for and how people can block or delete them, because a large group of people are annoyed by the existence of cookies on the internet. The aim was to make information more tangible and less technical than the information which is available elsewhere. 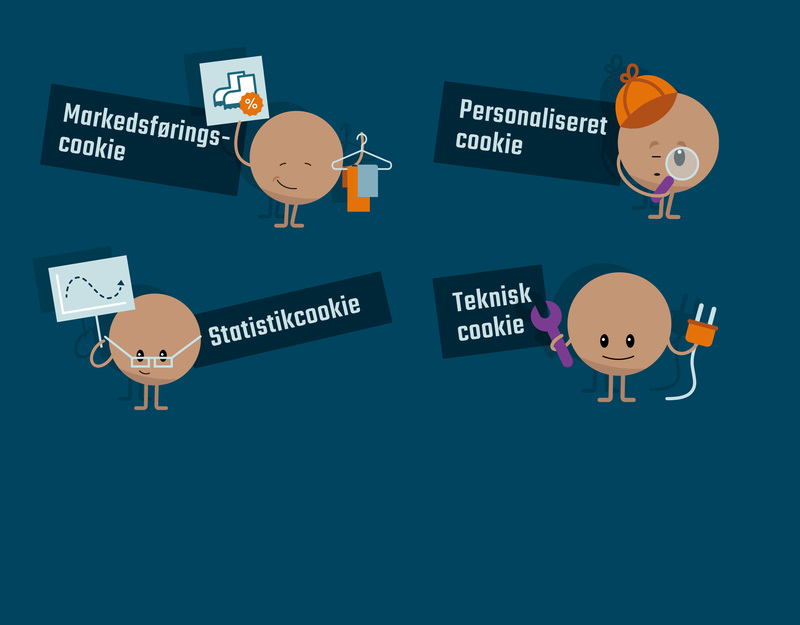 The campaign consisted of two adverts, and a video with four different kinds of cookies which were given personalities in order to communicate in a non-technical level and to incorporate a sense of humor to the rather heavy topic. 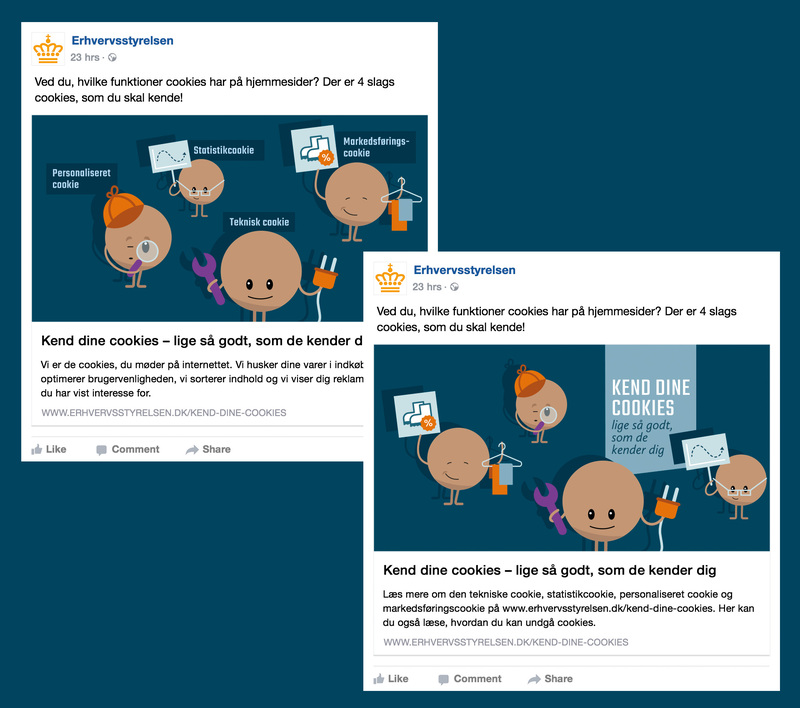 The adverts and the video were visible at Facebook and as web-TV banners at several Danish webpages. Additionally, there were made a subpage for the campaign on Erhvervsstyrelsens homepage where additional information as well as the video were available. The campaign moreover incorporated several relevant communication partners.